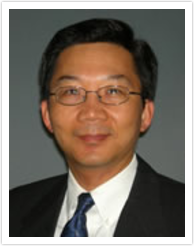 Meet Our Rye Family and Cosmetic Dentist Dr. Chi Fu! Dr. Chi Fu has dedicated over 10 years to providing families in the Port Chester area with quality dental care for healthy, beautiful smiles that can last a lifetime! After graduating with honors from the State University of New York at Buffalo with a bachelor’s degree in electrical engineering, Dr. Fu earned his Doctorate of Dental Surgery (DDS) from the SUNY School of Dental Medicine, where he also completed an Advanced Education in General Dentistry (AEGD) program. Dr. Fu is a proud member of the American Dental Association, the New York State Dental Association, and the American Academy of Implant Dentistry. Dr. Fu believes in lifelong learning in order to keep up-to-date on the exciting new technological advances in modern dentistry. His engineering background suits him well in this rapidly changing field, and he completes numerous hours of continuing education courses each year. Advanced training in cosmetic, restorative, and implant dentistry, including certification in Invisalign, allows Dr. Fu to work with you on a wide variety of dental concerns, forming a partnership in achieving your optimum oral health. You can rest assured that while Dr. Fu continues to pursue excellence in dentistry, he also places great emphasis on being an honest, gentle, caring dentist who treats his patients, not just their teeth. Outside of the office, Dr. Fu enjoys spending time with his wife, Meilee, and their three children.